My grandmother was one of my best friends. Visits were more than frequent and we could always make each other laugh. She passed away just a couple weeks ago, one month shy of her 90th birthday. 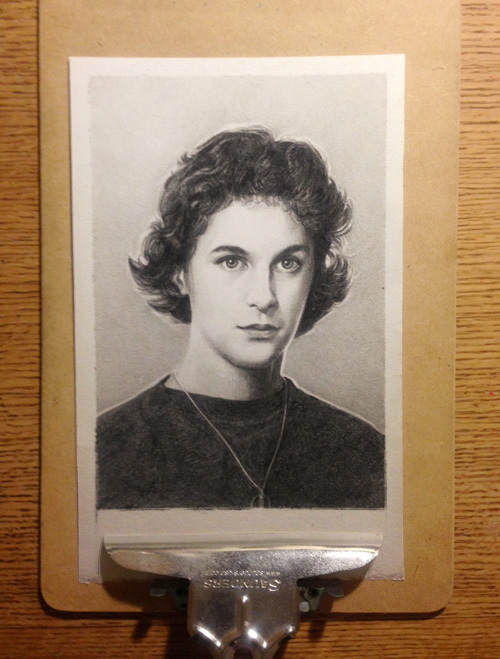 I created this piece for my grandfather in pencil on paper from a small 2.5"x3.5" photograph. I don't often go in for straight-up photo reproduction, but drawing this last night was so much fun. Here are some fragments of frames to a storyboard I created for a very stylish video directed by Common Good (for DDB) to introduce the new Subaru BRZ. My thanks to Jamie, Eric and Dwight for inviting me to the table on this one. The guys were a pleasure to work with and the spot looks great! To see more work by the awesome gang at Common Good check out CommonGood.tv. About a year ago I was engaged to produce a series of colour frames to support a concept being developed by Director Arev Manoukian and Producer Markus Trulli at Spy Films. Their idea was to create a parallel between the evolution of flight and the technological advances in film and cinema over the last century. A spot which would ultimately serve as the new Cineplex opening and play before every movie nation-wide. We expanded on the initial boards with dozens of black and white drawings, exploring camera moves and designing a multitude of sequences. Keeping in mind that the choreography of the evolving aircrafts would happen alongside advancements in the audio and visual presentation we also looked for opportunities that would best showcase the use of 3D technology. Arev's vision was crystal clear from the beginning, and how faithfully the amazingly talented visual effects team at Dashing Collective brought the storyboard to life is a testament to that. I can't forget to mention that the final 40 second film is entirely CGI. Congratulations to all involved! And special thanks to Arev and Marcus for bringing me on board for preproduction. To see more work by Director Arev Manoukian check out his reel at Spy Films. The good folks at Dashing have also put together a write up about this project discussing some of it's more technical aspects. You can find that at Dashing.tv.